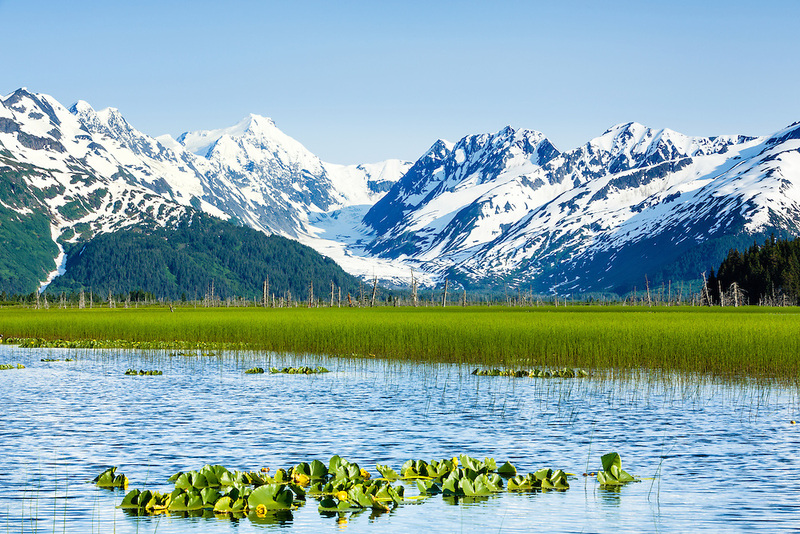 Lush marsh grass contrasts with the ice and snow of Skookum Glacier and the Chugach Mountains in Chugach National Forest in Turnagain Arm in Southcentral Alaska. Summer. Evening.